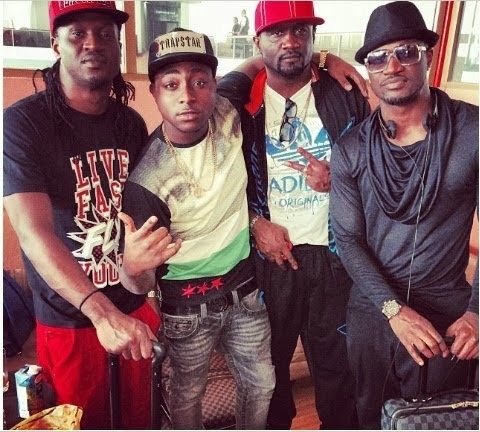 Nigerian musician David Adeleke alias Davido and P-Square musical duo, Peter & Paul Okoye with their elder brother, Jude are currently in the West African country of Niger. 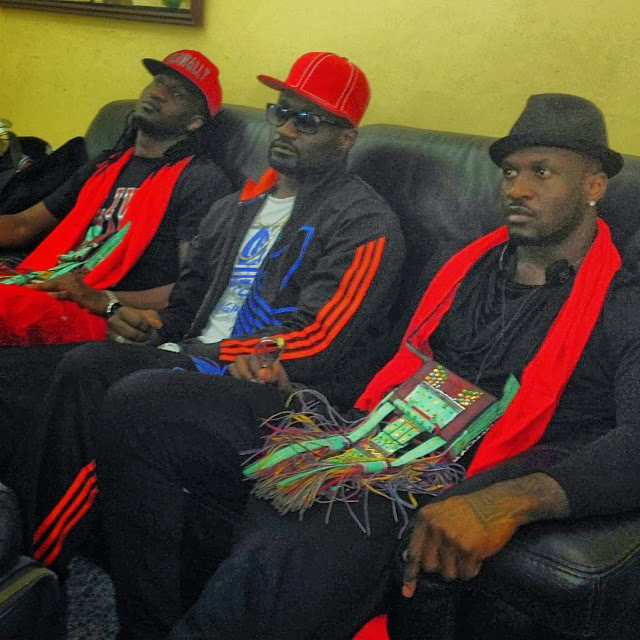 The Nigerian superstars arrived Niamey few hours ago for a pre-Christmas concert scheduled to hold tomorrow at the Stade General Seyni Kountche Stadium in Niamey, the capital city of Niger tomorrow Saturday the 21st of December, 2013. 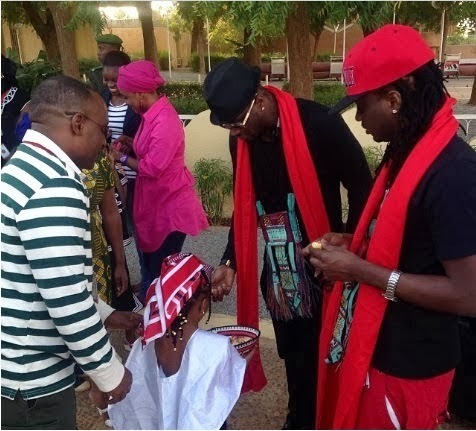 The musicians were honoured like kings on their arrival. Lovely artise, singer keep it up!! !